BBC iPlayer is a streaming site where the users can watch the BBC programs of last seven days. A program can be watched straight away or can be downloaded to any device to be watched later. This service can be accessed by all license fee payers in the UK. 1. BBC iPlayer was launched in the year 2007. 2. Its headquarter is in London. 3. BBC iPlayer mobile app is available for both iOS and Android apps. 4. iPlayer website is designed for Linux, Windows and OSX software. 5. iPlayer apps are also available for Xbox 360, Wii, PS3, BlackBerry and Windows Phone 8. 6. iPlayer also works with Chromecast. 7. The set top boxes that support iPlayer are the BT vision, Freesat, TalkTak, Sky on Demand, Freeview and so on. 8. Here is the list of browsers that are supported by iPlayer – Chrome, Firefox, Internet Explorer, Safari and Ubuntu. 9. HD programming is available on the only handful of devices. 10. HD Programs are available from BBC One and Two. 12. This was developed by BBC. 13. Studies show that the usage of iPlayer is higher after midnight. 14. It is also watched more during weekends. 15. The view rate of iPlayer is more on Saturday and Sunday between 8 am and 10 am. 16. Sixty servers as used for encoding BBC programs for the player. 17. Every week BBC converts around four hundred hours of programs. 19. iPlayer is streaming catch-up television service in the UK. 20. Live and catch up TV from BBC One, BBC Two, BBC Three, BBC Four, CBBC, BBC news and Radio 1 channels is streamed on BBC iPlayer. 21. It can be accessed on mobile phones, tablets, smart televisions and also on desktops. 22. There will be no commercial advertising. 23. Registration is not needed to watch iPlayer services for now but the viewers need to have a UK TV license. 24. Viewers may soon need to have a personal account to watch the content on iPlayer. 25. Go to the iPlayer channel and you can see many options such as features, most popular, on BBC channels and TV programs. 26. Search the programs by category for example comedy. 27. Register to get BBC ID and you can get the advantages of interesting features. 28. Personalized recommendations are available based on the programs the user watches. 29. iPlayer is also available in Welsh and Gaelic languages. 30. Internet connection with 1 Mbps minimum speed is required to watch iPlayer programs. 31. 10.2 or higher Adobe Flash is needed. 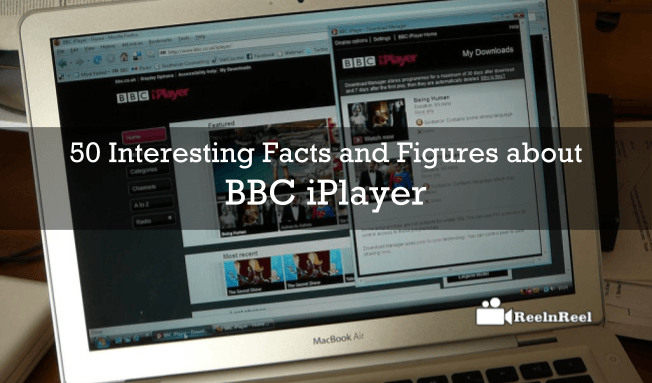 32. iPlayer programs can be downloaded or streamed by people inside the UK only. 33. When the users of iPlayer are outside the UK then cannot watch any content if they have not already downloaded it. 34. However, they can use the BBC iPlayer Radio site. 35. Content downloaded in the UK can be enjoyed online when outside the UK. 36. BBC Three YouTube channel programs can be watched outside the UK on BBC three YouTube channel. 37. Parental guidance lock can be turned on for BBC iPlayer downloads. 38. Parents can control what their children access on iPlayer. Set up a PIN and the user needs to enter the PIN to watch the program. 39. Users can enjoy content on iPlayer with subtitles for on-demand programs on some versions of iPlayer. 40. Playback quality of the iPlayer depends on the speed and connection type of the internet. 41. iPlayer app must be updated frequently to improve the playback quality. This also fixes the bugs. 42. Playback problems can be resolved by reinstalling the app. 43. BBC iPlayer also offers the users to enjoy the content in 4K. 44. iPlayer is the number one video on demand service in UK. 45. BBC is planning to double its reach to compete with the likes of Netflix. 46. From sometime in 2017, the viewers will need to sign into iPlayer to use it. 47. BBC revealed that more than seven million people have already registered. 48. Other on-demand services that ask the users to log in is All 4 and iTV Hub. 49. Even after having the BBC registration ID, users cannot watch the programs outside the UK. 50. The change applies to all devices that are used to access iPlayer. The programs downloaded from BBC iPlayer need to be watched within 30 days from when it is downloaded after which the file will be deleted automatically. The BBC has launched a new version of an iPlayer application for the children. It was offering more than 10 thousand episodes of content every year. The BBC iPlayer kid’s application can curate the kid’s content from the CBeebies and CBBC channels for the children basing on the age. The application is free to download and allows four children for creating profiles with the app push. The iPlayer had received 3 billion requests for TV shows and children’s programming which sign a demand for the dedicated application for the young audience. It is available for both iOS and Android phones and iOS platforms. The application is safe to use for children as it is easy to access the favourite shows with parental controls. The app allows the users to set a profile by choosing eight characters and a name to get started with. By downloading the content, the users can watch whenever and wherever they want to watch. Parents and kids can download the programmes using the Wi-Fi connection and can watch during journeys and other free times without net connection. The users can quickly find the favourite shows so that it filters the programmes with the search option. The downloaded videos can stream up to thirty days. The accessibility options are also outstanding and developed with the native screen readers as well as the concerned technologies. The episode pages can show the availability of the audio that described, and the subtitles can be turned on for the programmes to stream or download. The in-app purchases were designed to be safe. The BBC application had produced more than 8000 hours video content in a year which had reached more than 48 percent kids aged between 0-12 years in the UK. The peak hours are after the school timings. The app is available and compatible with over ten thousand devices in the UK for free of cost.